Its certainly a confusing time to be a DC fan. One week, you're crying over the fact Henry Cavill might not be Superman anymore, the next you're pleasantly surprised by the first look at Joaquin Phoenix as the Joker. With no clear plan in sight, all we can do as fans is simply sit back and enjoy what movies the studio has already completed, specifically Aquaman and Shazam!. Both movies seem to mark a huge tonal shift for the DCEU, with surprisingly impressive and light hearted trailers that debuted at Comic-Con earlier this year. 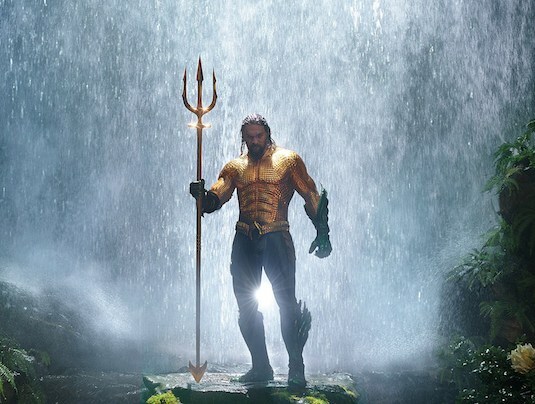 It looks like Warner Bros. really wants to get fans on board for Aquaman with just a few months left until its release, as they've released five whooping minutes of footage from the upcoming blockbuster. Well if you didn't have an idea of what to expect from this movie before hand, you sure should now. Its clear this will very much be an origin story for Arthur Curry, with a lot of flashbacks to his past and his mother played by Nicole Kidman who is from Atlantis herself. We'll also apparently get a lot of info on the mythology of the Atlanteans, similar to what we got from the Jor-El scenes in Man of Steel explaining Krypton. 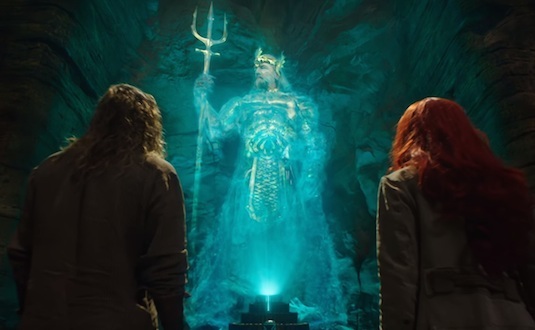 This trailer alone has helped explain just how important the King of Atlantis is, and why its imperative Arthur takes up the mantle rather then his rival Ocean Master. What may be a bit more surprising to fans about the trailer is just how much of it will apparently feature Arthur and Mera's adventure on land. 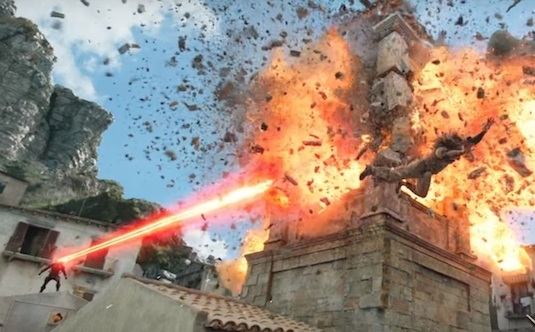 The movie's director James Wan has drawn comparisons to films like Raiders of the Lost Ark and Romancing the Stone, which seems accurate given the rough chase sequence (That looks straight out of an Uncharted game). It seems this will probably be the first half of the movie, where Mera comes to land to retrieve Arthur and convince him to challenge for the throne. It's here that they'll be encountering Black Manta and his army as we see in the trailer, but its hard to tell whether the villain is working alone, or following orders from Ocean Master. 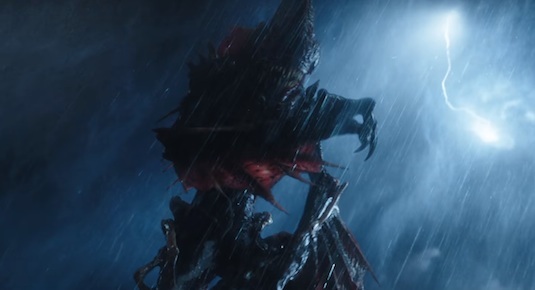 There's also a much better look at The Trench and the monstrous fish who inhabit it, which was something Wan had teased in the past. The Trench has been featured in the more recent New 52 comics, and could also somehow be under Ocean Master's control in the movie. Given Wan's horror roots, its no surprise he wants to adapt this part of the comics to the big screen and will likely go all out to make it as visually terrorizing as possible. With some many villains already in the film, its likely The Trench won't be playing as big a role but might just be a tease for a sequel. So what did you think of all the Aquaman footage? Do you feel like Warner Bros. is showing too much? Let us know below!